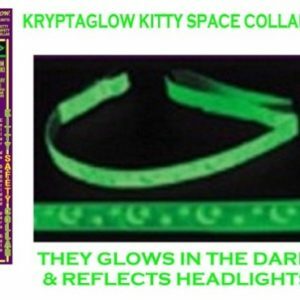 Its a collar and leash combined that glows in the dark and reflects headlights. 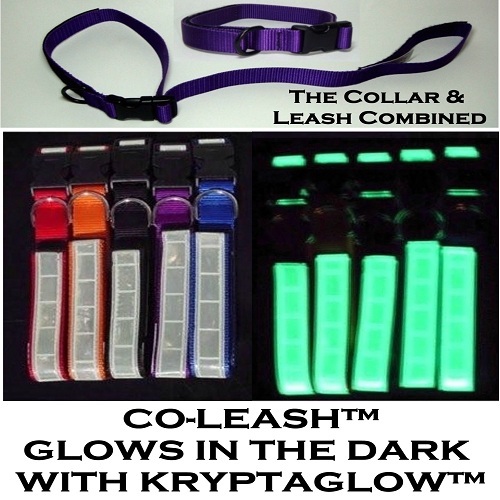 This Co-Leash® Kryptaglow Dog Collar is the newest Coleash Product and is very effective for seeing dogs at night. 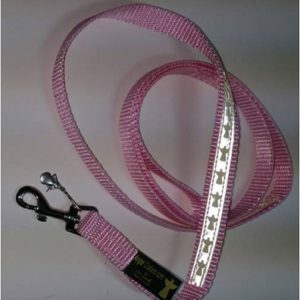 It’s the most visible Co-Leash® ever created. 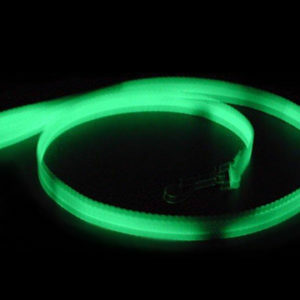 This Co-Leash® will Glow in the Dark all night in the house so you don’t step on your pet, and will also reflect headlights so he can be seen outdoors just as easily. 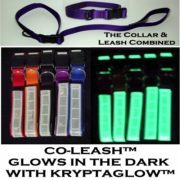 The reflective strip on the “KRYPTAGLOW® Coleash® Collar and Leash in One charges the same way using normal light. Intensity of glow varies with charge source and time. 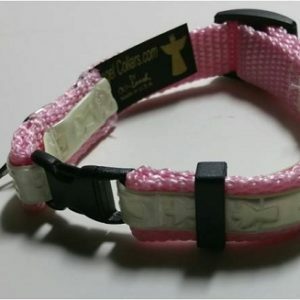 And like the Co-Leash® Regular Dog Collar, it’s a Dog Collar and Leash Combined. Most pet owners will agree, the more time a driver has to see your pet approaching the roadway the safer your pet is. It comes in 5 base colors and is Easy to Clean. The Co-leash adjusts a little larger if needed.